Today is Opening Day at Fenway Park for our hometown team, the Boston Red Sox. The food that is and although we can't eat most of these things, we'll just have to drool! First, we are going to start the game off with some roasted peanuts. Mom said we can't throw the shells on the floor. No fun. Next will we quench our thirst with some ice cold beer accompanied by a Fenway frank. Finally, for the seventh inning stretch we will finish it off with some good ol' Cracker Jacks. Or you can just dive right into the Fenway frank and forget about the rest. Did someone say "hot dog"??? Finally something us pups can eat!!! 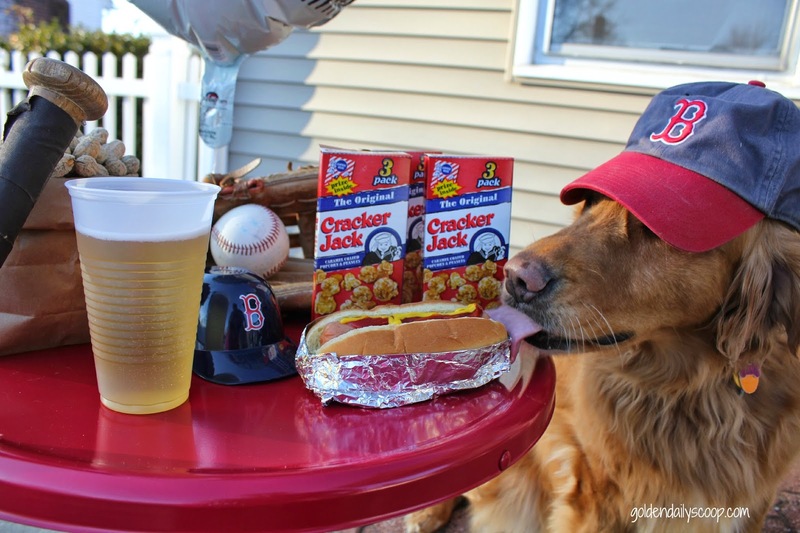 What is your favorite ball park food? 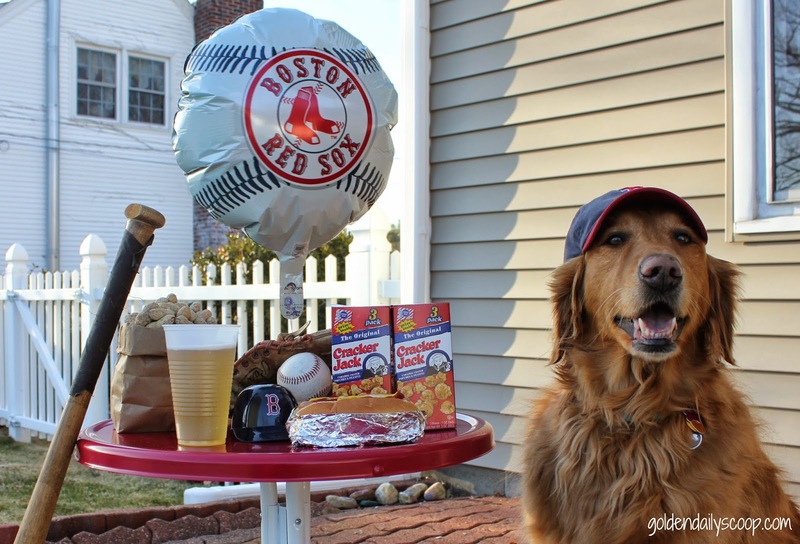 If your dog could eat ball park food, what do you think they would choose? 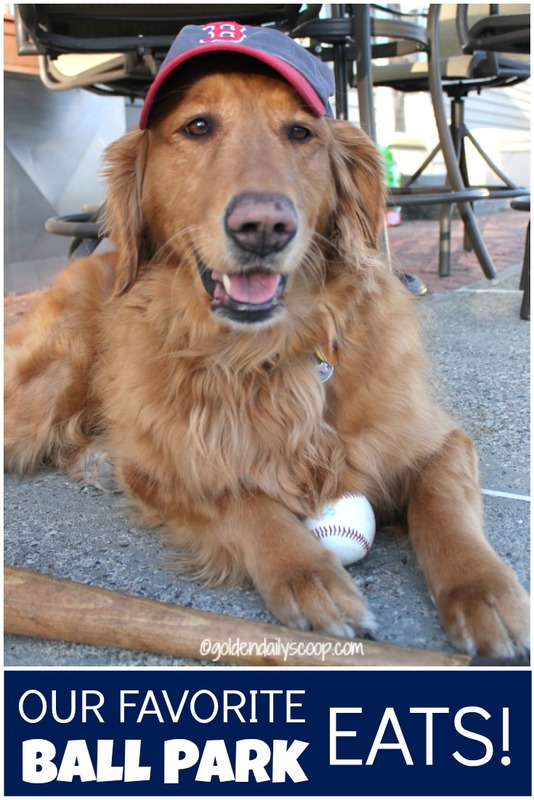 Lady isn't a big sports person, but her favourite ball park food is popcorn. Man loves a hotdog. Hope your team has a good season. We are not sports fans but a good movie and some popcorn goes down well here. Have a marvellous Monday. Sure looks like a fun afternoon at your house! Wish we were there! Don't forget that Fenway now serves up Legal Seafoods Clam Chow-daaaaahhhhhh -- yum! They are the most yummy thing. We love hot dogs at the ball park but never eat them any place else. Somehow they are just irresistible at the ball park where we never think about what is in them. so cute!!! Good luck this year! My Tigers are 6 and 0! (I am also a HUGE Indians fan), watch out for BOTH teams this year! I think my fave ballpark food is the hotdog. They have these HUGE "Louisville Slugger" hotdogs at the Padres games. It's the only time I ever eat a hotdog, so it's a real treat, oh, once every other year or so! LOVE the pic of sneaking a little lick of the hotdog. Too cute! We love baseball at our house!!!! the baseball food looks yumy! That is quite a feast! What.....don't throw the shell on the floor....thats what they do at the park......NOW Pass that frank this way and a box of them cracker jacks! It looks like you had a fun opening day!